Teachers know that a child’s spelling skills are built on their reading ability: this seems to be a natural progression. 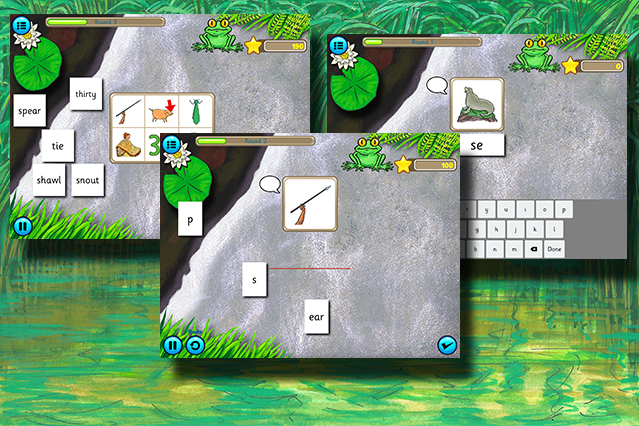 That’s why each of the Froggy Match-it app’s eleven levels has been designed with three games that progress logically from reading to spelling. The first game requires accurate reading to match words and pictures. The second one develops this and involves children placing given letters, left to right, to make words for pictures. In the third game the child has to spell words for the pictures using an on-screen keyboard.